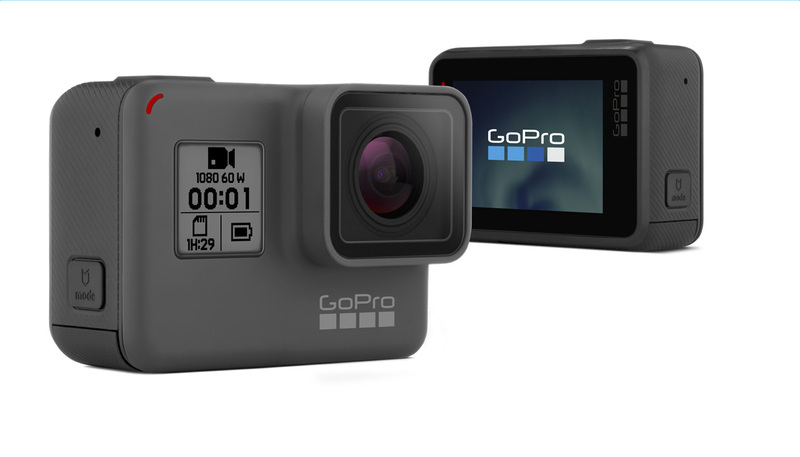 A major leak earlier today confirmed what rumors have been claiming for over a week: GoPro is preparing to release an entry-level version of its HERO action cam. The new camera—ostensibly just called the GoPro HERO—will feature the same styling as its high-end HERO6 sibling but, thanks to some pared down specs, is allegedly priced between $180-$200. According to this leaked PDF courtesy of Nokishita, the GoPro HERO will shoot 1080/60p and 1440/60p video as well as 10MP stills at up to 10fps, can capture timelapse video at 0.5 second intervals, is waterproof to 10m (~33 feet) out of the box, and features a 2-inch touchscreen on the back. The PDF (which is in French) also specifies that the camera features WiFi and Bluetooth connectivity, voice control, and compatibility with GoPro’s one-touch Quik Stories highlight video creation in the GoPro app. The leak does not cover price or release date; however, Photo Rumors is reporting that the new HERO camera—also seen in the leaked images above—will cost between $180 and $200, and Nokishita writes that the HERO will be announced on March 30th. If that turns out to be the case, be sure to check in with DPReview this Friday for the official details.